Materials, materials, materials…. 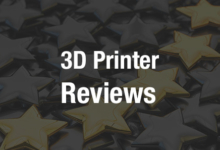 That’s all we have been hearing about lately within the 3D printing space, as companies begin to earmark funding for research and development pertaining to the material science behind what we 3D print with. One company called Admatec (Short for Additive Manufacturing Technology), based in Moergestel, the Netherlands, is doing just this with a ceramic material, and new 3D printers which promise to mass produce complex parts more efficiently than that of injection molding. Today, Admatec announced that four new 3D printers have begun operation at their facility in Moergestel. Calling the technology ADMAFLEX 2.0, as its the second version of their proprietary ceramic printing method, the company promises to deliver extremely accurate fabrication to a variety of industries. ADMAFLEX 2.0 is said to be a significant improvement from current technologies on the market today when it comes to creating functional ceramic components. Improvements over the original ADMAFLEX technology include surface finishes which have Ra values under 1 micron, as well as the final dimensions of fabricated objects being within 0.3% of the CAD model. One interesting use of the technology has been within the endoscopy market, where extremely precise, strong instruments are needed, oftentimes with complex designs. Admatec, using their ceramic 3D printing capabilities, were able to print out these tools in a very short time frame, making the production of 15,000 such parts more economically feasibly by means of additive manufacturing, than that of traditional injection molding. Additionally, there are numerous other applications for these machines which include the dental, and microreactor spaces. The AMAFLEX 2.0 system works by using a UV laser to cure a photosensitive resin mixed with ceramic powder. This is a type of stereolithography technology which is one of the reasons that the resolution of the prints can remain so high. The materials, which are developed in house, are certainly changing the way in which we think about fabricating objects with ceramics. As the materials market continues to expand, and a competitive atmosphere sets in, we are sure to see a continued drive to find the best possible materials for use in these types of machines. Let’s hear your thoughts on Admatec, and their ADMAFLEX technology within the ADMAFLEX 2.0 forum thread on 3DPB.com.